The last part of last year got away from me and I didn’t blog any projects — not even Halloween. I’ll have to go back and update some of my favorite ones. Moving on to this year, Violette Field Threads Give Hope Campaign was the perfect project to start the year with. What’s this all about? Violette Field Threads, one of my favorite pattern companies (I have a lot of favorites), created three free patterns as a thank you to their fans — The Lola top (Free with code in their FB group), the Evie Shorties (Free with code in the FB group or listed on their give Hope blog post), and the Hope Dress and Tunic (which is free with a $2.50 donation to the campaign). Throughout the month of January, VFT was accepting donations of Lolas, Evies, and Hopes to send to the children at Casa Guatemala. 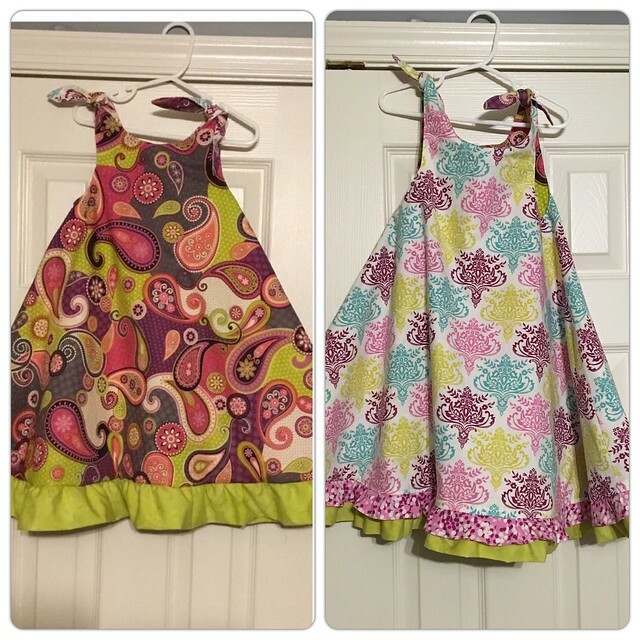 So Little Bit and I made a Hope dress that should eventually make it to a little girl around Little Bit’s age in Guatemala. We have a hope dress planned for little bit as well, but that keeps getting pushed to the back burner with other projects. 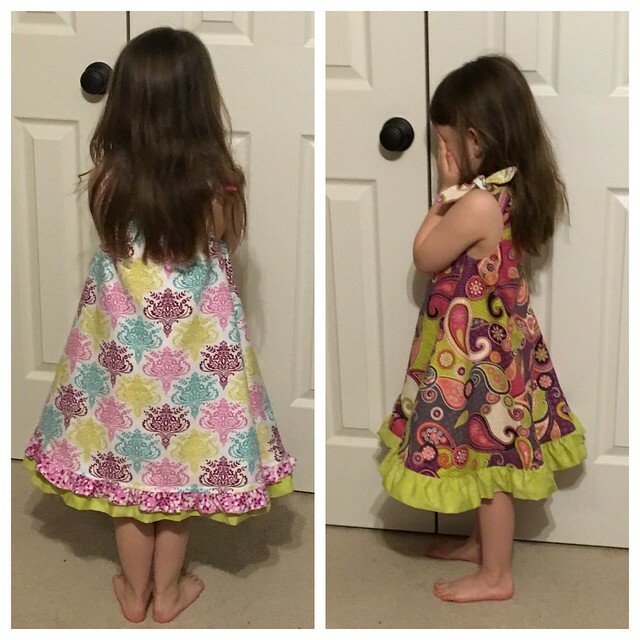 I didn’t think to take decent pictures, before we packed up the dress and sent it on it’s way, but here’s a few cell phone pics and a fun clip of the excellent twirl factor this dress has.